Last Friday Zander and I went to Utrecht to visit his dad in hospital and to spend some time with Zander's aunt Nel and cousin Tomazina. They will leave the Netherlands tomorrow morning. 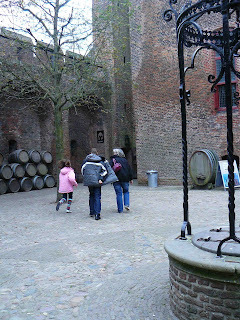 On Saturday we visited Muiderslot, it's an old castle where the famous dutchman P.C. Hooft used to live. It was fun being there again. 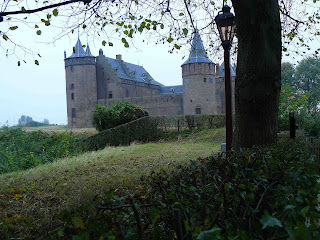 When I was a kid I visited the castle almost every year when I visited my uncle and aunt in Weesp during the Summer. Because it still was Fall vacation there was a lot to do for kids. 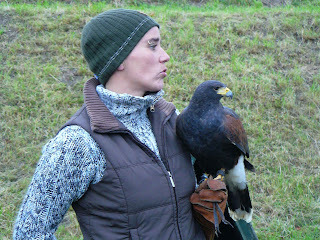 We also saw a falcon demonstration. Tomazina loved the scrapbook I made for her. The first thing she said was: Oh my God, what beautiful! 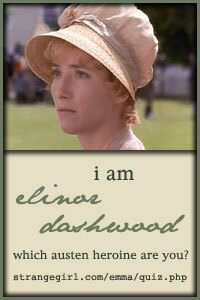 I almost only used Elsie Flannigan stuff from her first line. Latest news and layout of Misty. Zander's dad is doing better, but he prabably has to stay in hospital for another 2 weeks and after that he can't return to his home yet and he has to go to a special facility where he can get back his strengh. All kind of people are busy trying to find him a house with no stairs at all, because it will be to much for him to climb stairs. I decided not to go to Utrecht this weekend but the next one. His sister decided to stay in the Netherlands for another week so we can still see her and her daughter one more time before they leave. Zander wasn't in the mood to travel and I'm still feeling tired, so it's better to wait another week. Yesterday I went to meet Heidi for the first time. 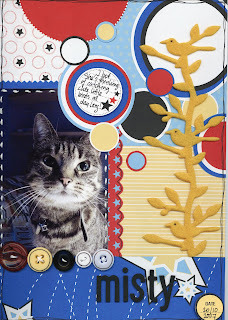 I met her through Birgit's blog and she and I were both looking for another scrap addict to do stuff together. Well, we didn't scrap at all yesterday. Just looked at eachothers scrapprojects, scrapbook stuff and tools (she has the QuicKutz Silhouette! ), her scrapbookroom and we talked about more personal things. Heidi has made some wonderful projects! I loved the book she made at a workshop with Jo-Anne te Raa. When Zander and I returned from Utrecht last Friday there was a lovely surprise for me. 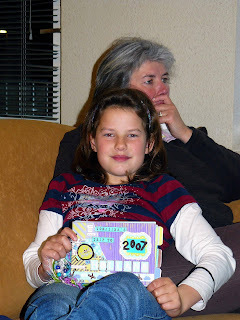 I can get € 250 from the Dutch Social Insurance Bank (SVB) because I'm a Mantelzorger. Translation: somebody who is taking care of a child with a handicap in his/her own family or a child who is taking care of his/her parent(s) because they are old and need special help. Heidi is taking care of her mother and she also got the letter. We both want to use the money for scrapbooking. I'm gonna use it to pay for some workshops. Heidi and I both want to go to a workshop given by Corinne. She has some nice workshops in stall for the second weekend of March in Utrecht together with another famous scrapdiva. But first we're going to a workshop given by Birgit in November. 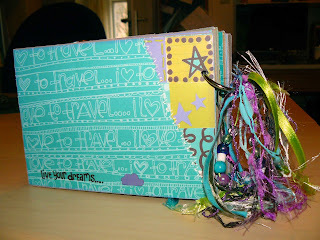 That will be my first scrapbook workshop ever! Yesterday evening I started to make a layout I wanted to make in the afternoon at Heidi's. Used Corinne's paper line from Cherry Arte. I forgot to cut off a piece of the paper (short end) to make it the right size for my scan to handle, so there's something missing. I got inspired by the first layout of Ief on this blog. She and Will have challenges between the two of them. It's really cool! 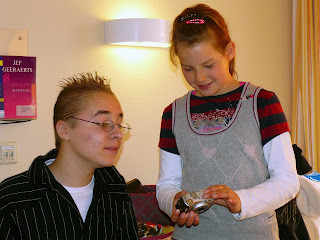 Zander and I stayed in Utrecht for about a week to be close to his dad (his name is Ad) who's still in hospital. His condition is still concerning but it improves little by little. His sister Nel and her youngest daughter Tomazina (10) arrived from New Zealand on Wednesday late in the afternoon. Before they arrived I had to clean the house because it was really very dirty. It seemed as if Ad hadn't cleaned the house for months! You have to know that normally he's a very clean person. It just shows how bad his condition has been lately. His neighbour told me that when he arrived home from shopping he had to sit on the stairs for about 90 minutes before he could go upstairs. And when he was upstairs he hang over the banisters for another 30 to 60 minutes before he could walk to his frontdoor. His neighbour wanted to get in contact with me and his sister but she didn't have our addresses or phonenumbers. I did things this last week I normally don't do anymore because of the fibro. So now my body is aching a lot and I'm feeling very tired. His sister and I also went to bed late because we had a lot to talk about. One night we went to bed somewhere around 4.30!! Because his sister has arrived and is able to visit her brother every day in the hospital and Ad's condition is more or less stable, Zander and I returned home. Zander was missing his computer and I need to get some rest. The plan is to return to Utrecht next weekend and stay there again for a couple of days. Received some disturbing news early this evening about Zander's dad. He's in hospital with probably a pneumonia. He's already familiar with emphysemia and diabetes. It seems that lately his condition has become worse and worse. We haven't been in contact for a few months now. I stopped trying to get a hold of him because he wasn't returning our calls or e-mails. I phoned the hospital around 9 p.m. and some nurse from the IC-unit told me about his condition. Because I'm not a relative it was difficult for her to tell me everything because of the law of privacy and Ad (Zander's dad) was in such a state that he wasn't able to give permission. But she promissed me to phone later this evening with hopefully more details. She did about one hour ago and they have decided to give me more details because my son has the right to know about the condition of his father. She called the condition Ad is in right now not really critical but however it is a bit concerning. His CO2 levels are way to high and his body is working so hard that several doctors failed in putting him on infusion. It seems that the vains squeeze together when the body doesn't get enough oxygen. This makes the bloodpressure rise and because of that the level of oxygen gets higher. The only thing they can do right now is to give him oxygen, antibiotics and Prednison. Anyhow, Zander and I are leaving for Utrecht tomorrow morning. It depends on his dad's condition if we're going to stay there for some time or if we're returning home tomorrow evening. 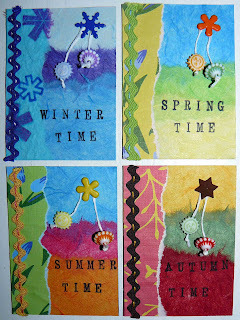 Today I finished making 4 ATC's about the Seasons. A few years back I was really in to making ATC's but at some point I lost interest. Last week I bought a small book about ATC's for just 1 euro and it got me interested again. However I stopped making Daily Somethings. At least I don't want to make one every single day anymore, just when I feel up to it.